THE STORY - For Diane, everyone else comes first. Generous but with little patience for self-pity, she spends her days checking in on sick friends, volunteering at her local soup kitchen, and trying valiantly to save her troubled, drug-addicted adult son from himself. But beneath her relentless routine of self-sacrifice, Diane is fighting a desperate internal battle, haunted by past mistakes which threaten to tear her increasingly chaotic world apart. THE GOOD - Great performances from Mary Kay Place & Jake Lacey. A humanistic and artful approach by Kent Jones reveals layers after layers of character and theme. THE BAD - Some jarring editing choices. ​​​​​Known primarily as a film critic, writer and the head programmer for the New York Film Festival, Kent Jones finally directs his first fictional narrative and the results are an existential knockout. Revealing the inner layers of one's humanity, imperfections, and mortality, "Diane" is a naturalistic portrait of a life not commonly seen in cinema. It's haunting, graceful and deeply affecting. With an all-time great performance from Mary Kay Place at the front and Jake Lacey stealthily delivering his best work as well, "Diane" has a lot to offer those who love to be intellectually challenged at the cinema by this grand thing we simply call life. 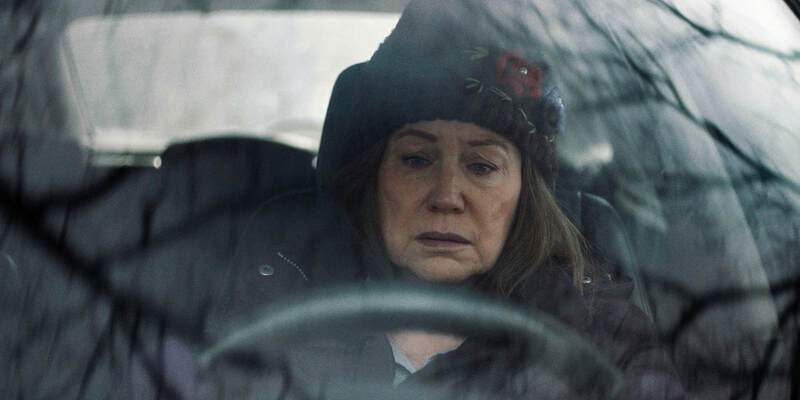 Diane (Mary Kay Place), a middle-aged woman from Massachusets who has always put her friends and family before herself, is going through a rough time. Her sister is currently dying in the hospital from cervical cancer. Her son (Jake Lacey) is suffering from drug addiction and all of her friends seem to be dying off one by one as time slowly passes them all by. As she gets closer to the end of her own life, she slowly starts to reflect back on a mistake from her past that made her the person she is today, while also trying to hold onto the ones she cares about the most. Right from its opening frame, Kent Jones establishes a clear control over how he wants to tell his story. The sound we hear is breathing and that signals to us that we are about to witness the story of a life. We may be entering into this woman's life while she's in her 50's but Jones does an excellent job of filling in the blanks of this woman's past so that we receive a full encompass of who she is and the kind of life she has led. Unsurprisingly, Jones understands that human beings are imperfect and complex. Wrapping in themes of sin, guilt, and shame through his protagonist, he and Mary Kay Place give us one of the most well written and fully realized characters in a film this year. Mary Kay Place delivers a performance that will not leave my mind anytime soon. Finding the extraordinary in the ordinary, Mary Kay Place taps deep into something that connects with us on a grand human level finding selflessness in the selfish. We watch her come undone by the greatest enemy of all: time. It's easy to give your film an antagonist as an entity or person. We watch as she hopelessly loses the people she cares about the most, not due to any circumstances within her control but through the mysterious ways of life. Addiction, cancer, old age. One way or another, life finds a way to do us all in and sometimes the choices we cling to in order to give us peace are stripped away from us. It's both heartbreaking and thought-provoking as Jones forces us to confront the very essence of our own lives through Diane's suffering. Kent Jones only had a few days to shoot the film on a shoestring budget and as a result, if there are any faults to be found within "Diane" it's in the editing. Nearly every single scene transition occurs with a POV shot of Diane driving her car through the snowy suburban streets of Massachusets. After a fateful meeting with son, we finally get to see her own face driving the car and while there is definitely meaning to be found within the choices that Jones made, it still doesn't take away from the fact that it starts to get repetitive and hurts the film's narrative momentum. There are also a number of slow-motion and crossfade editing techniques that whether due to lack of choices or time, also feel jarring despite their artistic intention. "Diane" is a strong drama from Kent Jones that features two very strong performances from Mary Kay Place and Jake Lacey. It's one of the most reflective, contemplative and introspective you're likely to see this year with tons of rewards for patient viewers. Despite some technical limitations which impact the narrative experience, Kent Jones proves to be a highly intellectual and empathetic filmmaker and I cannot wait to see what other stories he has left to tell us for the future.